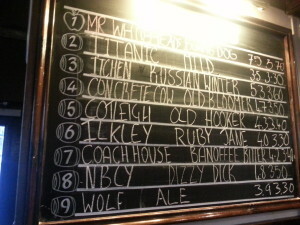 If you like your beer and you’re in Glasgow, you can’t miss a visit to the Three Judges and if you like jazz too, then make sure you go on a Sunday. 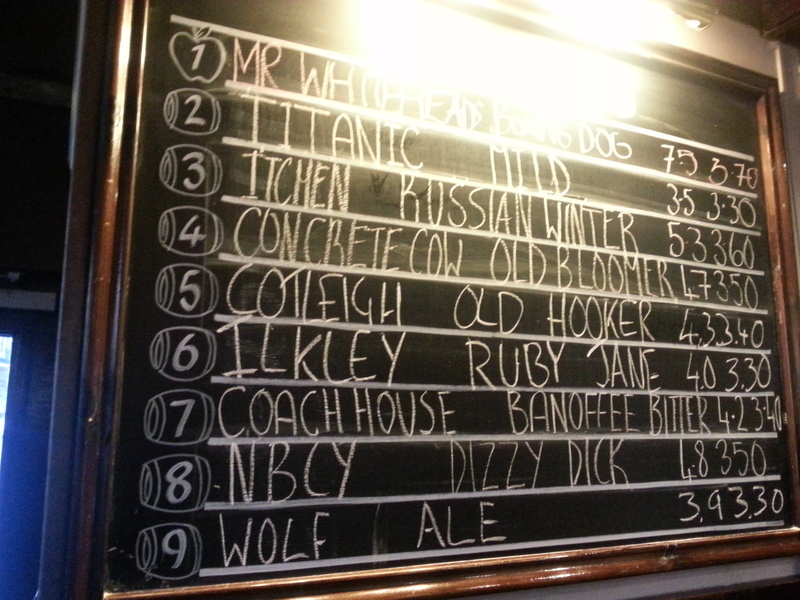 We popped in a few weeks ago and there was the usual range of excellent beers, they usually have 9 different real ales every day. It was a Sunday and the jazz was great, but I’m afraid I didn’t get the name of the band. The pub is on Dumbarton Road looking up Byres Road and just a minute from Kelvinhall subway station. 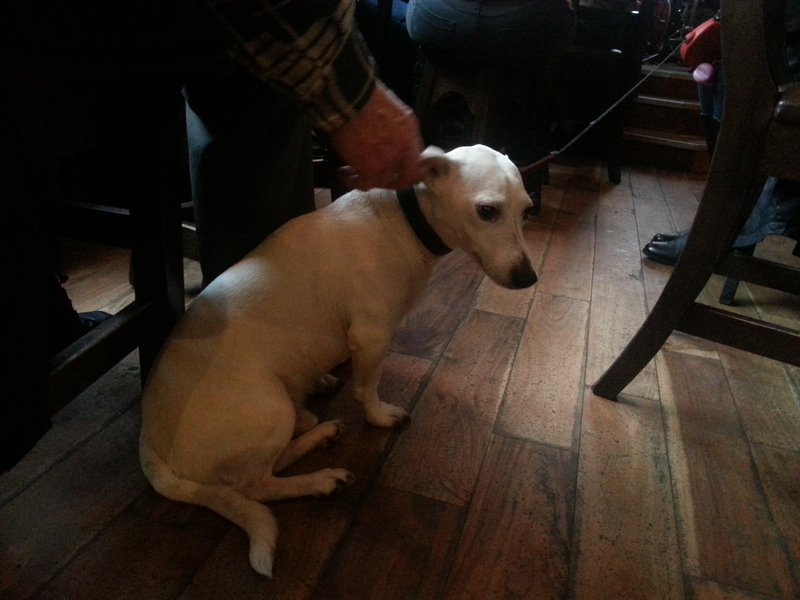 It’s somewhere I’ve been going on and off for years and if want to take your dog with you, you’ll be pleased to find that it’s a dog friendly pub. This wee chap was visiting when we were there. 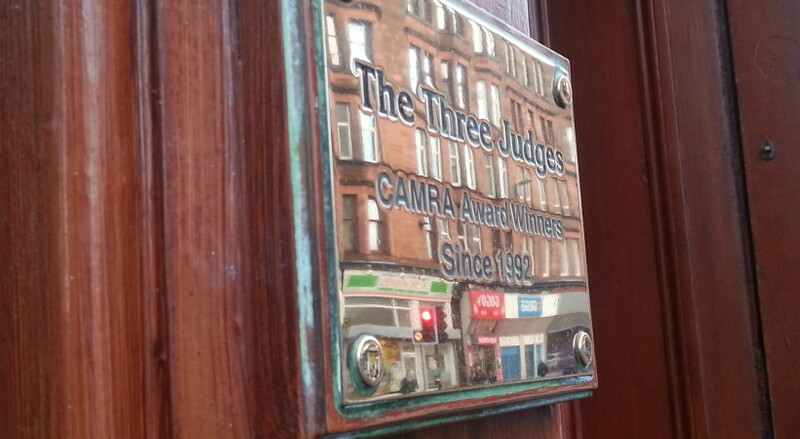 The Three Judges has been the recipient of many awards, including CAMRA Glasgow Cask Ale Pub of the Year and is somewhere not to miss. 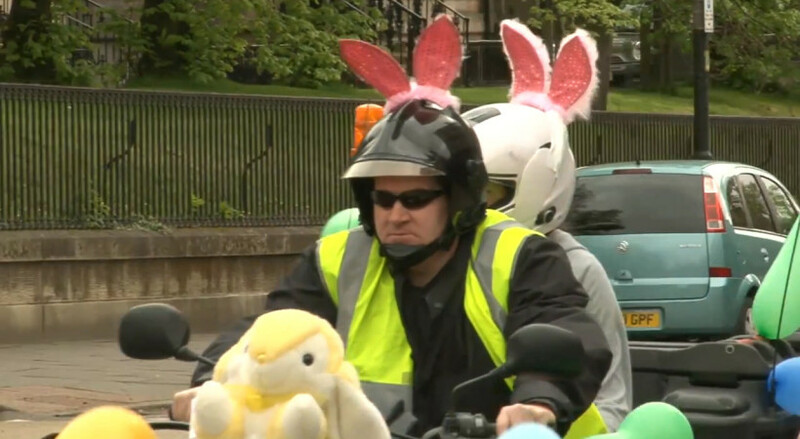 I’ve lived in Glasgow for many years, but the Yorkhill Easter Egg Run is something I still love to watch (it gives me goosebumps :-)) Where else can you see a convoy of motor bikes, with riders and bikes all dressed up (bunny ears aplenty!) riding through the streets? If you stand at the side of the road watching it takes a good 15 minutes for them all to go by. Starting at the SECC, the run ends at Yorkhill Children’s Hospital. This video is from the 2011 run. 2015 is the 36th year the run has taken place and you can find out more about its history here. Although it’s called the Easter Egg Run, bikers are now asked to get sponsorship, raising money for the Yorkhill Children’s Charity, who do amazing work at the hospital. SECC Carpark; Stobcross Road; Finnieston Street; Clydeside Express Way; Argyle Street; West Campbell Street; Bath Street; North Street; Woodlands Road; Park Street; Great Western Road; Crow Road; Rosevale Street; Beith Street; Benalder Street; Old Dumbarton Road; Dalnair Street; Through Hospital to Yorkhill staff car park.